It makes sense for packaging companies and other supply chain stakeholders to reflect the values of their customers. Aligning with consumers’ closely held principles creates an immediate connection, which can help close sales. Marketing cumbersome, wasteful packaging to an increasingly environmentally conscious population, for example, does not serve buyers or sellers, so CPG producers are taking note. Packaging companies play key roles bringing goods to market, so they are held to the same standard as producers, wholesalers, and retailers. In fact, since packaging serves as the face of consumer products, the choices made by packaging industry professionals are front and center in the drive for greater accountability, transparency and environmental responsibility. Until recently, consumers appeared relatively satisfied with goods showing no glaring deficiencies. As long as the item functioned reasonably, within its designated purpose, there was little accountability for the quality of raw materials and ingredients. This has changed, in part, because an increasingly global marketplace has brought a variety of standards to CPG industries. Comparing apples to apples is not as straightforward as it once was, because goods originating from different places are not subject to the same levels of regulation and quality control. 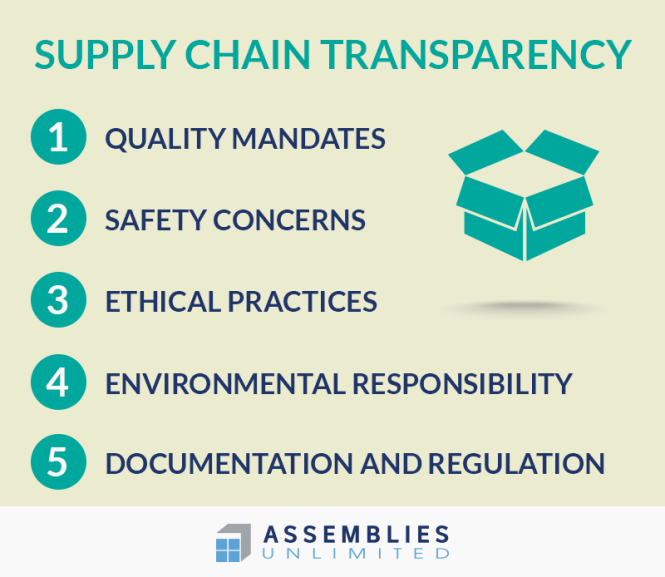 These accountability gaps have become part of the mainstream conversation, prompting governments, individuals, and supply chain partners to call for greater quality-control transparency. Packaging companies play an important role maintaining high standards across CPG markets, because packages are subject to quality control measures similar to those applied to the goods they contain. Buyers are no longer strictly focused on the goods that end up in their shopping carts. Instead, modern consciousness also accounts for the means to an end – the practices resulting in shelf-ready products. Labor standards, ethical sourcing and other concerns once left to regulatory oversight are now directly addressed by consumers making purchasing decisions. Packaging companies help producers share messages about production and distribution protocols, reinforcing a shared commitment to ethical practices . Truth in labeling, for example, can be traced directly to the brands making claims and their packaging partners. Misleading, exaggerated assertions about nutrition and other product features are more likely to be called out than in the past, so contract packaging companies share ethical accountability – and consequences – with producers. Perhaps highest on consumers’ list of accountability concerns, environmental impacts are a major consideration for producers, packagers and retail partners. According to one survey, 56% of American consumers would advocate for more sustainable packaging for the products they buy. In fact, somewhat surprisingly, 42% of respondents also indicated a willingness to pay more for sustainable packaging, as opposed to cheaper, but less ecologically responsible alternatives. While the environment has been on shoppers’ minds for decades, today’s trends are aimed directly at brands’ bottom line. In today’s marketplace, remaining competitive means acknowledging environmental consciousness, which is now central to consumer purchasing decisions. Packaging companies are leading the way, responding to the call for environmental accountability. In addition to paring materials volume and selecting less-toxic alternatives, packagers are committed to conveying brand messages aligned with the ecological values of modern consumers. Consumer involvement is but one aspect of a pervasive shift toward greater accountability. In order to codify the expectations shared by the public, legislators and regulatory partners are working together addressing transparency concerns. In most cases, consumers hold producers to a higher standard than government agencies, so makers are taking independent steps to reveal chemicals and other raw materials present in consumer goods. Much like their manufacturing counterparts, packagers are also stepping-up documentation and compliance, in order to quench consumers’ appetite for accountability and transparency. As consumer values evolve and preferences emerge, manufacturers and their contract packaging partners are moved to align with buyers’ ideals. In today’s sustainable packaging marketplace, environmental responsibility and supply chain transparency are key standards driving purchasing trends. As a result, successful packaging companies have accountability measures in-place, to ensure brand images match consumer expectations.